"featuring entrepreneurs who find Yokohama fertile ground for thinking up something newer"
Yokohama is the birthplace of modern culture in Japan. Since 1859, when the Port of Yokohama was opened, it has developed into a modern commercial city by acquiring foreign currency mainly from raw-silk exports, attracting people from all over the country as well as overseas. In the Meiji Era (1868-1909), the entrepreneurs who earned foreign currency in Yokohama established such businesses as banking, newspaper publishing, railways, and gas, that were deeply rooted in the basis of Japan's economic development. Yokohama, in short, is a city with a success story built on starting up something new. In 1998, the Silk Hotel, opened on the 100-year anniversary of the opening of Yokohama Port (1959) and closed in1987, was reborn as an office building with 75 "cyber cottages" equipped with cutting edge telecommunications infrastructure. Named "SOHO Yokohama Incubation Center", it is the Japan's first and largest facility to back start-up companies. Ms. Hiromi Saito, President & CEO, SOHO Yokohama and the producer of this "old-new" type of venture incubation center says, "a posh, brand-new office building doesn't help start-ups. Give them one we already have and renovate it". The City of Yokohama set up the "Yokohama Business Promotion Department" in February 2003. With the motto "Yokohama is out-and-out the best place for start-ups", Mayor Hiroshi Nakata acts positively in inviting venture companies to Yokohama and is keen to support private sector moves. In addition, another incubation facility "SOHO STATION" was opened in February 2004. Yokohama is currently preparing to become a base for young entrepreneurs to get together and start businesses in anticipation of the 150-year anniversary of the opening of the port in 2009, "the second opening of Yokohama Port". The tour will not only visit three entrepreneurs in Yokhama but also provide a chance to talk with Mayor Nakada at the SOHO Yokohama Incubation Center located in front of the Port of Yokohama and Yamashita Park. He will brief us about the City's policies and activities to support start-ups. Then SOHO President Hiromi Saito will speak about the current situation of local start-ups and her plan for the future. We will also visit "Digital Camp! ", one of the tenant companies of SOHO Yokohama, which moved to Yokohama last year, as the city is aiming to be a base of digital contents production and distribution. Mr. Kenji Watanabe, Head of Digital Camp! and CG producer of the film "ULTRAMAN", will recount his determination to come to Yokohama and work as a digital creator. 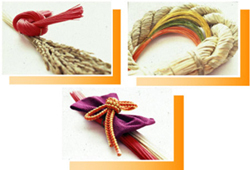 Lastly, we will visit Ms. Yoko Iwamiya, President of Kazari-ichi Co. Ltd., who invented a New Year's decoration in modern taste, acquired its patent and launched her business in 1971. Recently she has developed "Choetsu-shi", extraordinary paper or paper-plus, uniting paper with glass. We will learn from President Iwamiya, who encourages the next generation as a pioneer among the local entrepreneurs, about the tireless spirit of creating something newer. Mr. Nakada was born in 1964 and graduated from Aoyama Gakuin University (Faculty of Economies). 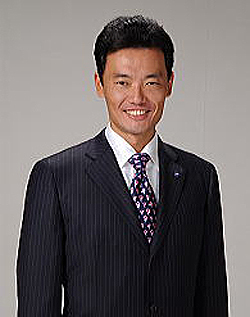 He was first elected as a member of House of Representatives in 1994 and took office as the Mayor of Yokohama in April 2002. Yokohama will celebrate the 150th anniversary of the opening of the Port in 2009. It aims to revitalize the City's economy based on its present trade performance that shows 6 trillion yen in exports and 2.8 trillion yen in imports. Yokohama Business Promotion Headquarters is trying to get 350 new companies to launch businesses in Yokohama from FY 2003 to 2005. In fact, thanks to the City's financial support, about 150 companies came to start up businesses in FY 2003. For instance, individuals are able to get a loan of up to 10 million yen from the City, and tenants of SOHO Yokohama Incubation Center are also able to get a subsidy of up to 1 million yen after screening by the City. Mayor Nakada, who takes the lead in promoting local ventures, will speak about the specific measures, achievements and the City's future as a place to launch a new business. 2. Ms. Hiromi Saito, President & CEO, SOHO Inc.
akakura, a student of the famous Le Corbusier, and opened "SOHO Yokohama Incubation Center" there. The total number of tenants since its opening exceeds 200, consisting of 100 corporations and 100 self-employed persons. Half of the self-employed persons incorporate a firm two or three months after they became tenants. Most of the tenants are small-scale IT-related firms but extend their business fields and partners to overseas. In March 2003, SOHO Inc. started a partnership with a German corporation to help nanotech-venture companies start up business in Japan. Ms. Saito is currently hoping to make Yokohama a place of a new type of trade in the era of the Internet, focusing on the production and distribution of digital contents that are now rapidly growing. 3. 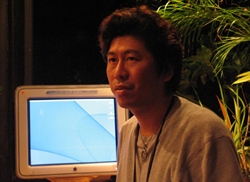 Mr. Kenji Watanabe, CG Producer, Digital Camp! d Mr. Watanabe, who started his career as a computer graphics creator 20 years ago and produced the CG of the film "ULTRAMAN" which was on show at the end of last year. In March last year, he left Tokyo and moved to the SOHO Yokohama Incubation Center, where he launched his new project "Digital Camp!". In this project he wants creators develop their talents and create high-value contents, providing them with a superier environment and production technology as well as collaborating with the local governments and corporations. For instance, he produced a short film on the 150-year history of Yokohama for the upcoming 150-year commemoration of the opening the Port, and he organizes a monthly meeting for creators, "Hamakuri", at the SOHO Yokohama Incubation Center. Claiming that creators should establish a system to protect their production rights, he sees the current rapid growth of the digital content market coolly and seeks to seed the digital contents industry with imagination. 4. 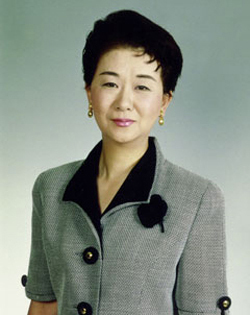 Ms. Yoko Iwamiya, President, Kazari-ichi Co., Ltd.
1988, after inventing a series of new products based on her sense of art and such unique ideas as introducing the cartoon character "Snoopy", she established Kazari-ichi Co., Ltd, with the hope of becoming the leading manufacturer of decorations. The yearly turnover of the company as of March 2003 was about 1.2 billion yen. In addition, she played an essential role in the legislation of the female entrepreneurs support law by pressing forward a reform of systems which had barriers against women starting businesses. She received the Woman Entrepreneur Award from the New Business Association in 1996. She also creates Mizuhiki image art using Ukiyoe as a motif. This activity gave her a motive to begin the R&D of "Choetsu-shi", paper beyond paper, her extraordinary invention from the harmony of paper and glass. It is strong, water-resistant, fire-resistant, and environmentally-friendly and can be used in such fields as films, tableware, furniture, medicine, electronics, and automobiles. In 2000 she opened a "Choetsu-shi" R&D laboratory in the Yokohama City Joint Research Center of Industry and Academia and has never tired of creating something new by harmonizing Japanese culture, art, and chemistry. She believes that a business starts from a pleasure of contributing to people and society. Briefing on SOHO Inc., and its future plan by CEO Hiromi Saito, followed by presentation by Mr. Kenji Watanabe, Digital Camp! Limited to the first 15 applicants on a first-come first-served basis. (Only one reporter and one photographer from each company, but two participants in each TV team will be acceptable. )?If the number of applicants exceeds 20, an upper limit may be set on the number of participants from each country. (1) When you photograph and film at the tour sites, please follow the instructions of the officials on duty. (2) FPC will not be liable for any inconvenience, trouble or accident that might occur in the course of the tour.